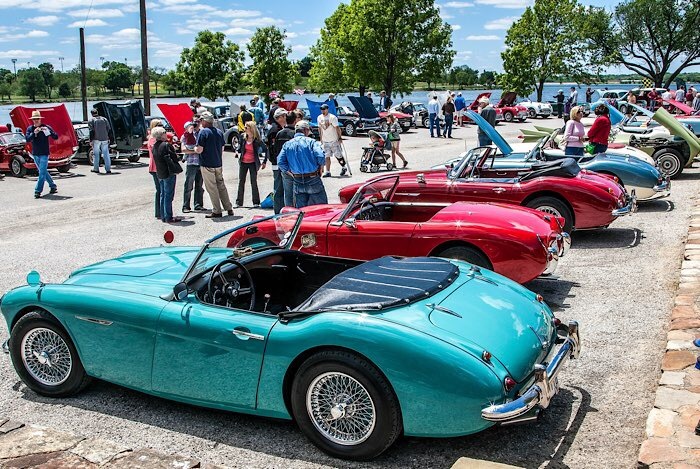 Join us for our 35th Annual Exhibition of fine British and European motoring on Sunday, May 5th! Bring any British or European car, micro car, or bike, driver or show, new or old, to compete for trophies. This is a fun, family- and dog- friendly event so bring your picnic basket or purchase goodies from several of the metroplex's popular food trucks. Proceeds of this event benefit Shoes for Orphan Souls www.buckner.org/shoes. Online registration is $25 per vehicle; $10 for motorbikes until May 2nd then $5 more at the gate. T-shirts for the show’s 35th Anniversary are $20 with online registration. Spectator admission is FREE! Questions? Please contact show coordinator, Debra Lankenau, at 972-243-0440 or ABCD@KipMotor.com. Follow our Facebook page for last minute announcements and weather conditions at www.facebook.com/allbritishcarday/.